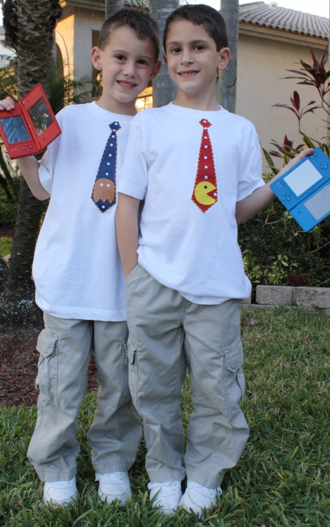 For their 7th birthday, Dylan and Jacob got a Nintendo DS, Mariokart and Super Mario. 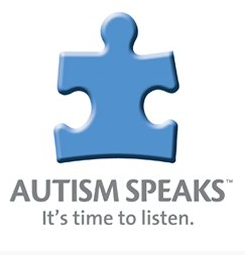 Autism Speaks got $797.50! | ECHOage - Get great gifts. Give to charity. ← For his 1st birthday, Dominic put money toward his Registered Education Savings Plan (yup, you read that correctly) and Plan Canada got $55. 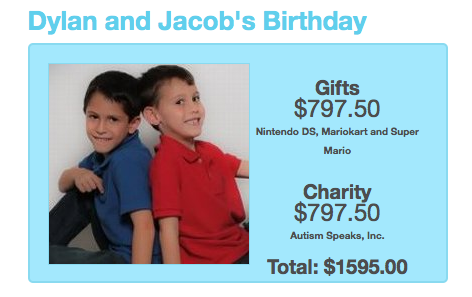 For their 7th birthday, Dylan and Jacob got a Nintendo DS, Mariokart and Super Mario. Autism Speaks got $797.50!